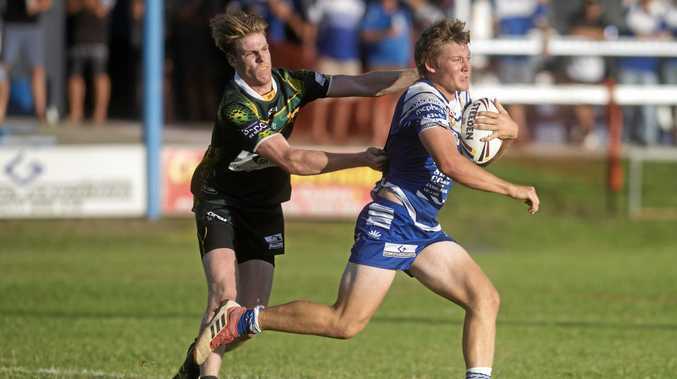 RUGBY LEAGUE: Facing a road trip south to take on the newly reformed Bellingen Valley/Dorrigo Magpies, the Grafton Ghosts will be looking to improve on their first-round performance tomorrow. The Ghosts opened the season at home with a 46-6 points win over the Orara Valley Axemen, and five-eighth Clint Greenshields it was good to get a win to start the 2019 season. "It was a good first hit-out, we've got a really good roster and we've taken our structures from 2017 into this year with a few new faces,” he said. The Ghosts will have a changed backline to the side that ran in eight tries against Orara, with a shoulder injury to centre Dylan Collett forcing him out of the side for up to four weeks. Greenshields said while the Ghosts will have to be on their game to earn a win over the Magpies, he was confident the side had the firepower to overcome their opponents. "(Magpies captain-coach) Daniel Tempest has done a really good job in getting this side back together and we're going to have to be good in defence to counter them, but at the same time they'll have to aim up against our forwards and strike weapons out wide,” he said. GAME DAY: Grafton Ghosts play Bellingen Valley/Dorrigo Magpies at Bellingen Park. Ladies league tag kicks off at 11am.